An analysis of the Prime Minister's speeches reveals a change in the narrative from development to scathing verbal attacks on the Opposition. The narrative was focused on 'development' for the last four years and some months. It was the central theme whenever the Prime Minister, members of his cabinet or the BJP chief took to the stage. But that seems to be changing now. The elections act as odd catalysts in framing narratives. There is a marked change in the ruling that combines a choice of subjects in public forums. Verbal attacks on the Opposition have been getting sharper and shriller. Hard asides have been directed at the Opposition parties — especially on the issue of their unity. 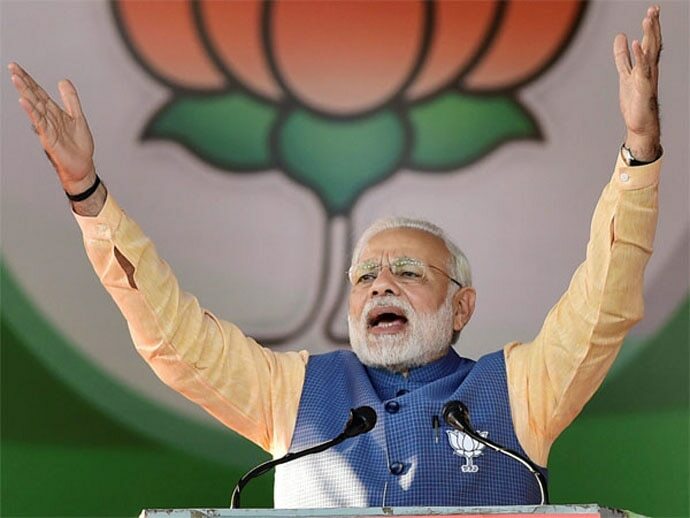 When PM Modi started his speech in Parliament on Thursday, it was expected that he would focus on the achievements of his government, besides targetting the Opposition. After all, it was probably the last time before the upcoming General Election that he would have a chance to address the nation from Parliament. A large section of his speech was reserved for launching sharp attacks on the Opposition, their supposed probity and attempts at forging a united front. It is absolutely normal for Prime Ministers to attack the Opposition from the floor of the House, and many of PM Modi’s predecessors have done the exact same thing — many times in the past. However, what is different this time around is how the PM changed his narrative, from the set pattern of shutting out everything other than “development” in his speeches. Is 'Vikas' finally taking a back seat? Is it not robust enough to win elections all by itself? Probably not, but the ruling combine is keen on hedging its bets and will not like to leave anything to chances. The January rally at the Brigade Parade ground in Kolkata was a success. Its success should not be judged by the numbers alone, though the sheer number of leaders on the dais, and the people who came to support them, turned the huge ground into a sea of humanity. However, the real success lay in the coming together of political parties and leaders with diametrically divergent ideologies — uniting against a seemingly unconquerable opponent. That the regional leaders have acknowledged that PM Modi and the BJP cannot be stopped by any single party or ideology is the success of this meet. That most of the regional political leaders have refused to cede political ground to Rahul Gandhi and Congress is another measure of its success. The BJP knew what was coming — it went on the offensive right away. Surprisingly, it took the Congress a good couple of days to realise that such Opposition unity would damage the pan-Indian chances of the Congress, more than that of the BJP. The Kolkata Police Commissioner-CBI-Saradha investigation fracas followed, in quick succession. While the West Bengal Chief Minister defending the Kolkata Police Commissioner was unprecedented, the CM deftly turned the crisis into an opportunity. Within hours, Tejaswi Yadav and Kanimozhi were on stage with Mamata Banerjee. 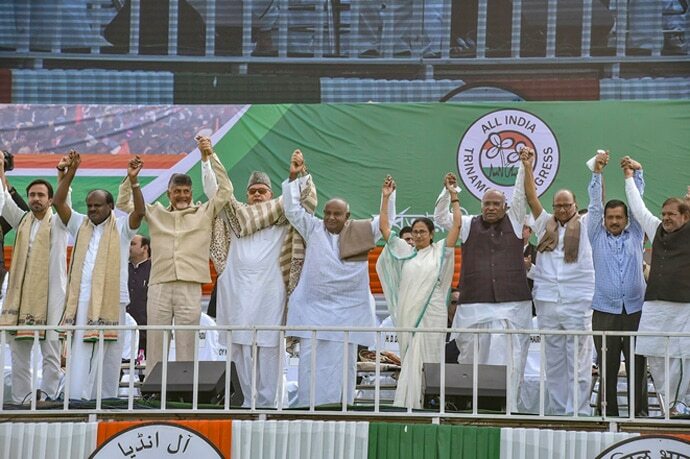 Chandrababu Naidu also made an appearance in a show of solidarity, and other Opposition parties — including the Congress — issued statements backing Banerjee. The developing picture of Opposition unity is being seen in the last few months. On one end, Akhilesh Yadav thrashed out a coalition with one-time bitter political rival Mayawati. In another state, Deve Gowda supported Chandrababu Naidu's efforts, and leaders like Sharad Yadav, Farooq Abdullah, Stalin and Sharad Pawar have spoken of the need to project a united front. This rather unprecedented show of unity, combined with the failure of big-ticket reforms, farm distress and the lack of jobs and limited progress in key schemes will ensure that the ruling combine will remain well outside their comfort zone — for now.